Historic Crystal Palace dinosaurs are being saved by an unlikely patron – Guns N’ Roses guitar hero SLASH. The Appetite for Destruction rocker has appealed to fans to donate money to help restore a set of 1850’s dinosaur sculptures that are stranded on an island in south London. Slash, whose real name is Saul Hudson, said the beasts in Crystal Palace Park hold a ‘special place’ in his heart, because he grew up in London. The life-size reconstructions were designed and sculpted by Benjamin Waterhouse Hawkins and are Grade I listed heritage assets. Erected on islands, the public can usually only access the models at special times of the year. But efforts have begun to raise £70,000 to build a permanent bridge to access the concrete beasts – that attract thousands of visitors annually. 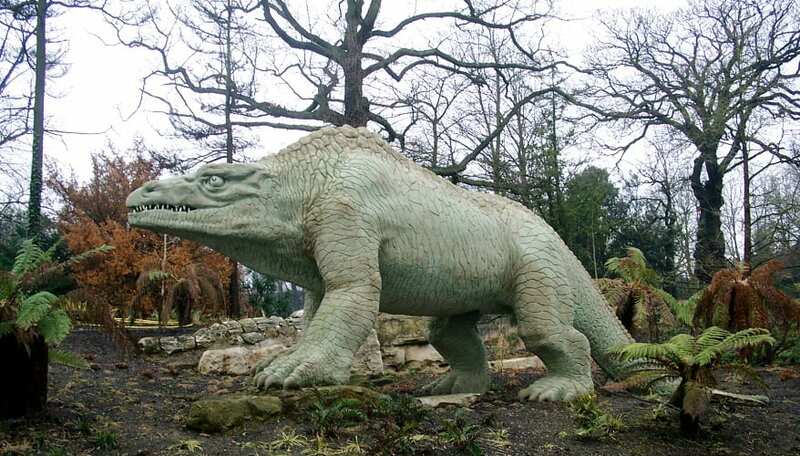 The 53-year-old has also donated a ‘very special item’ to be auctioned off as part of a fundraising campaign, according to The Friends of the Crystal Palace Dinosaurs. The dinosaurs were the first ever life-sized reconstructions of the now-extinct animals. A new bridge would apparently allow 1200 people to visit them annually. Sarah Slaughter, one of The Friends’ trustees, said: “We need to replace an old bridge – this will enable access for conservators and their equipment for urgent and ongoing maintenance of the sculptures. “We will also be able to run educational tours for children and adults so that they can learn about the history of science. “The fundraising has been going great, we had an immense boost with a £30,000 pledge from the Mayor of London through the Crowdfund London scheme we’re in. “I’ve been trying to garner support through social media, and noticed that Slash was following us so I took the opportunity to send him a DM asking for help. “He responded straight away to say that he’d tweeted about us, and that he would donate an item to our charity auction that we’ll hold in mid-December. C. G. P. Grey released this image under the Creative Commons Attribution licence.